Style takes precedence over substance by a fair distance in Ram Gopal Varma's third entry in the Sarkar series. Despite riding on the broad shoulders of Amitabh Bachchan, as impressively on the top of his game as ever, Sarkar 3 is a tedious trudge. It exudes about as much life as the little stone bulldog that occupies a prime place in the brooding protagonist's gloomy living room. 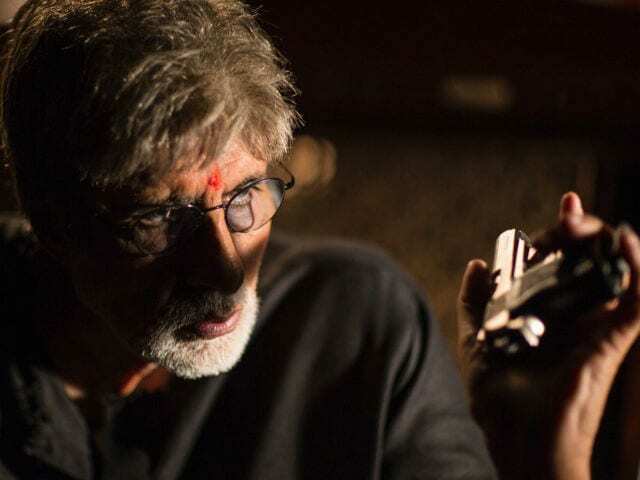 Sarkar 3 is stylishly shot, elliptically edited and only 132 minutes long. 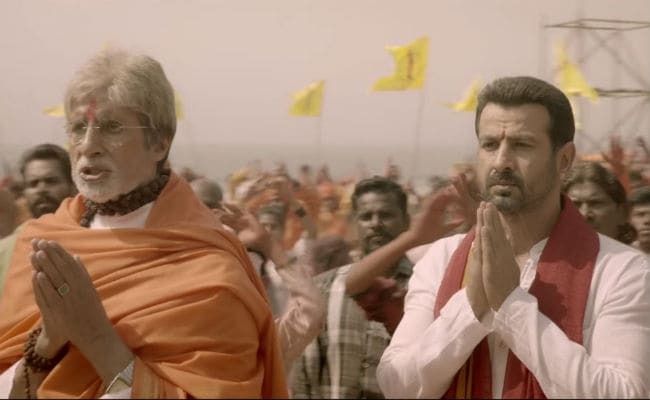 That apart, Manoj Bajpayee, Ronit Roy and Amit Sadh do their bit to support Bachchan in the latter's all-out bid to shore up the film. But its worn-out under-wiring simply doesn't possess the strength to carry the weight of the film. In the sordid underbelly of Maharashtra politics, where an ageing Sarkar still calls the shots without brooking any opposition, it's a dog-eat-dog world. In keeping with the 'animal instincts' of the film's dramatis personae, lions, tigers, dogs, cats and rats receive more than their rightful share of attention in the 'killer' punch lines that they hurl at each other. The ageing, no-nonsense Sarkar likens politics to walking on quicksand. Amid the overdose of such cliched generalities, it is more like a battle for survival in a jungle where might is right, where you are only as smart as your last brainwave (provided you survive the quick comeuppance). Lest you gloss over the obvious analogy, across from the Subhash Nagre's seat of authority is a grey sculpture of a dog. The hero obviously has no patience for a live pet. The camera hovers over the small statue every now and then, and occasionally settles on it meaningfully, while the gravelly-voiced overlord holds court in his dimly-lit lair. By the time the film plods its way to the business end, the animal analogies gather urgency. "A gang of rats cannot harm a cat, let alone slay a tiger," Sarkar thunders as his trusted lieutenant Gokul (Ronit Roy) informs him that his enemies have closed ranks. A little later, Sarkar elaborates on that thought: "A dog in a lion's skin is still a dog." If only the sculptured cur in the room could bark! On his part, Sarkar's ambitious and darkly moody grandson Shivaji Nagre "Cheeku" (Amit Sadh) comes up with another dogs-and-lions metaphor. "If a pack of dogs get together, they can kill a lion," he intones. All this flimflam about pursuit, hunting and killing is conducted with utter nonchalance on both sides of the power struggle. As Sarkar stands firm in his mission to protect his hard-earned political turf, his adversaries set out to sow seeds of distrust among his aides, including the aforementioned grandson, who surfaces from nowhere to bolster his empire. Power, Sarkar 3 tells us at the very outset, does not stem from fear. It comes from respect. The word love is also, somewhere along the way, mentioned as another requisite for anybody aspiring to be a revered leader of men or a dreaded power broker. Sarkar is both, and although he has lost both his sons - Vishnu in Sarkar and Shankar in Sarkar Raj - he is in no mood to yield ground to rat frat scurrying all around him. In the interiors of Sarkar's den, shafts of light filter in from varied sources, or are reflected from sundry surfaces, all with the aim of conjuring up menacing atmospherics to go with Sarkar and his men's vocal and physical heroics. All this, at best, lends surface gloss to the film. The pulpy plot, driven by the towering, scowling, pensive figure of Subhash Nagre, who has survived six vicious attacks on his life but has never pulled out of a fight, revolves around a new construction project planned in Dharavi East. For the plan to be passed and the work to start, 15,000 thousand residents of the locality have to be evicted. The builders seek Sarkar's intervention. He refuses to help and, in the bargain, opens up a new battlefront. But none of the conspirators plotting his downfall emerges out of the crowd and carves out a logical space in the narrative. One of them is the comely Yami Gautam, playing the daughter of an entrepreneur whose death Sarkar is suspected to have ordered. She shoots glazed looks in the direction of nothing in particular and resembles a mechanical mannequin running on empty. There is also this grotesque, shadowy guy (Jackie Shroff) who lives in Dubai and barks garbled instructions to his men in Mumbai as his girl hangs around in the background waiting for him to have a verbal crack at her. "Sawaal mat pooch darling, socho (Don't ask questions darling, think)," she is told in one scene. Sarkar 3 raises many a question, but it provokes no genuine thought that might lead to better comprehension of what is going on. The biggest question the film leaves us with is: what is Jackie Shroff doing here? His colourful suits are an assault on the senses and his utterances are all bull. 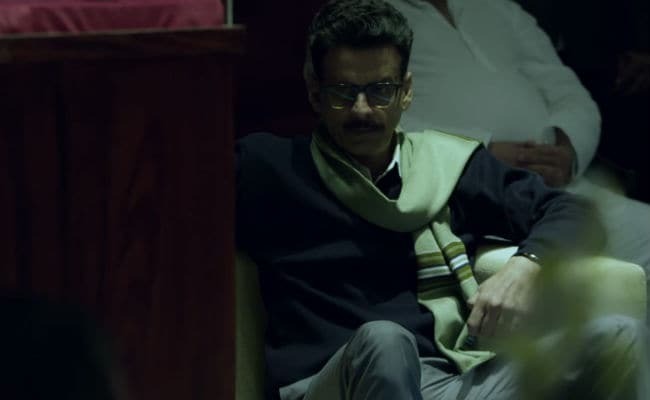 Manoj Bajpayee, who dons the guise of a fearless politician who takes on the mighty Sarkar, has a marginally better written role. He pulls his weight as long as he is allowed to, which, unfortunately, isn't long enough.